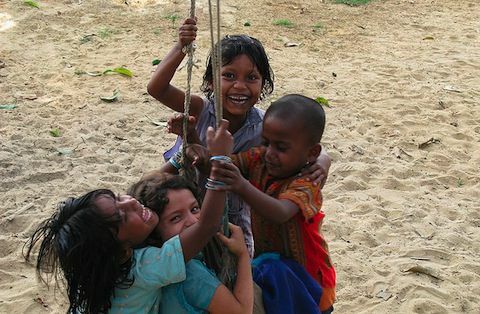 When the street children of Dhaka were asked why they flock to the people who wear the "green hand" and the ones who call themselves “Wrestling Beans”, they all say the same thing – we trust them, they listen, they understand and they care. The Restless Beings fieldworkers invest time and effort to get to know the children. Every visit is an opportunity for them to meet familiar and new faces living on the streets. The old haunts like the Komlapur Railway Station is often frequented by children of all ages trying to make a living from selling plastic bottles or carrying passengers luggage. For many there is no money to make, but the company of others in their position, is some small form of support. Our fieldworker’s visits are a break from their daily grind. 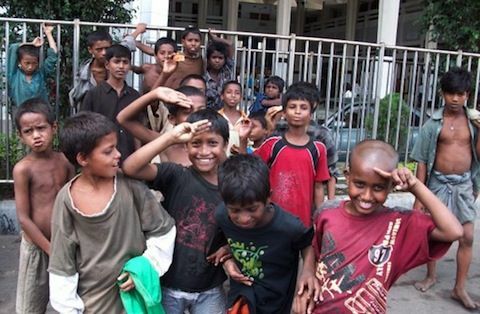 They show the street children a kindness they rarely receive in their lives. Aside from carrying out the usual fieldwork they take time to listen to the children’s stories, jokes and moments that they cannot wait to share. An approach we have sustained in all the years we have worked with these young lives. What sets the Restless Beings team apart is their genuine and unwavering desire to help change what these children are currently being exposed to. You will not find them armed with clipboards asking an endless list of questions but rather they would be seen taking their lunch, doing magic tricks or playing games on the steps of the train station or having conversations with the children that sit with them. Often these conversations expose many disturbing truths. On one such day, in early November, the team came across a teenage girl named Kolpona; her name meaning ‘fantasy’ or ‘imagination’. Tragically none of the team could imagine the challenges she has to face. * As a safety measure the images used are not of the child in question. 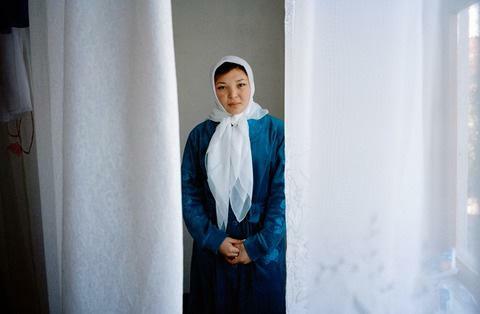 Over the course of a few weeks 16-year old Kolpona revealed to us that she lives very far away from her family; though she misses them acutely she vowed never to see them again. Her parents had hurt her several times, when asked why, she found it hard to disclose the reason. After running away she has been sharing the streets for years with others looking for ways to get by. 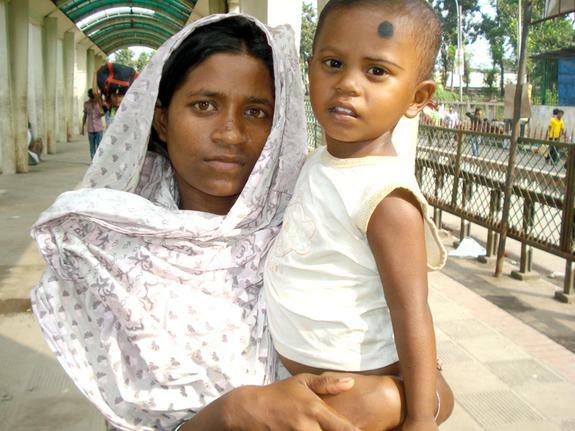 In the beginning she turned to pickpocketing and working for the mastans that operate at the Komlapur train station. This gave her more grief than relief especially in moments when she couldn’t meet their demands, receiving threats to hurt her or exclude her from payment. Eventually through the encouragement of her ‘friends’ she resorted to selling her body to make money. She earns an average of 100tk per day implying that she may be working as part of a brothel. For extra cash she sells water bottles during the day on the street and when she is exhausted from all the work she comes to her usual spot to eat from a food vendor at the train station. On her more challenging days she joins her friends for an evening of intoxication – cheap alcohol, cigarettes and dandi are all on the menu. Kolpona has been coming to the Centre to sit in on some of the study sessions and to eat while she is there. She tells us that she feels safe at the Centre, appreciated by the staff that listen to her and offer her space as well as advice when she needs it. She has even managed to make some friends at the Restless Beings Centre. But help, as ever, is vital for these children. The Restless Beings Centre cannot house as many children as we would like to assist. Through voicing and making donations towards the Restless Beings Village you help us create a safe haven for many more from the drug abuse, malnutrition and sexual exploitation that they face on a daily basis. As a safety measure the images used are not of the child in question.